Nutrition is the most important thing for caring for your dog. Good food will help your dog live longer, decrease medical problems/vet bills, creates less waste (poop) and reduces the smell of waste. The food that I feed my dogs/puppies is called Wellness Super 5 mix – Just of Puppy kibble Just for Puppy Recipe for Dogs, we use carefully chosen, authentic ingredients, for the complete health of your developing puppy. This special recipe provides whole-body nutritional support during the important foundation year, with the optimal balance of nutrient-rich whole foods to fulfill the unique health needs of your growing puppy. Strong Teeth & Bones- Puppies need the right mineral balance to ensure bones grow at the proper rate. We guarantee our levels of calcium and phosphorus on every bag. Energy for Growth & Play- Carbohydrates provide energy. We use oatmeal, barley and brown rice because they’re easy to digest and full of nutrients. Healthy Muscle Growth- Puppies need increased amounts of protein. We use high-quality sources including deboned chicken and salmon meal. If your puppy does not have good crew toys to chew on you can bet they will decide to chew on your favorite pair of shoes or nice furniture. It’s not their fault…. It’s their nature. This chewing instinct is worse when the puppy is teething. So PLEASE have good chew toys. Despite what you might read Rawhide and Greenies are not good for small dogs. They can choke and die from the pieces that break off while they are chewing. A GREAT chew toy/treat is called a Bully Stick. Bully Sticks can be found at any pet store. Keep a good supply of these around. Rope toys and plush toys with squeakers are also good toys. Make sure you have a variety. Remember he/she is a baby and they will get bored with just one toy. I recommend a nice metal comb with fine teeth on one side and wider teeth on the other. Most places know this as a Greyhound Comb. You will need a nice wire pin brush. Remember to always dilute the shampoo and conditioner before using it. After the bath spray with the detangler for extra conditioning. People often ask me "what do I do with the puppy when I go to work or if we have to leave for several hours". ex-pen to the sides of a nice wire crate. Put a few piddle pads in there with some toys, a Bully stick and water. 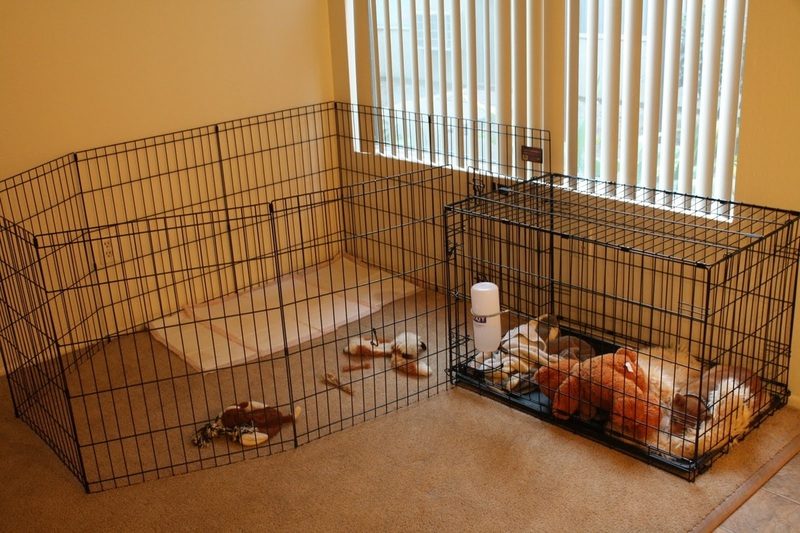 Your puppy will have room to move around, play and sleep when they want to. You can buy ex-pens at almost any pet store. I recommend at least a 30" high ex-pen. If you want a bigger area, you can buy 2 ex-pens and connect them together. In the summer I connect 4 ex-pens together and wrap them around a big shade tree and let the puppies play in there. This keeps them safe and they still get to enjoy the outdoors. Ex-pens are flexible and can be setup anywhere to accommodate your situation. So I highly recommend buy one or two. When you are not using your ex-pen, it folds flat and you can hang it on a couple nails in your garage. Before your puppy goes home we have already started potty training with Piddle Pads. That way if the puppy has to go and you don't see him/her sniffing and circling (indicating that they need to go outside) they will a least go on the piddle pads. However, piddle pads are also fun toys for puppies. They can drag them around, rip them up and they make a crinkle noise. That is some fun stuff for puppies to play with. 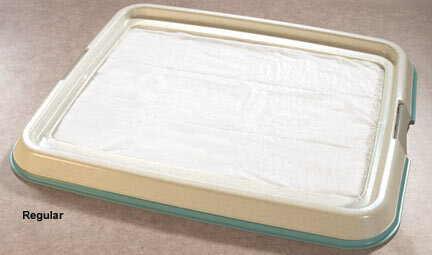 So I also recommend Piddle Pad Holders to keep the pads in one place and keep the puppy from playing with it.